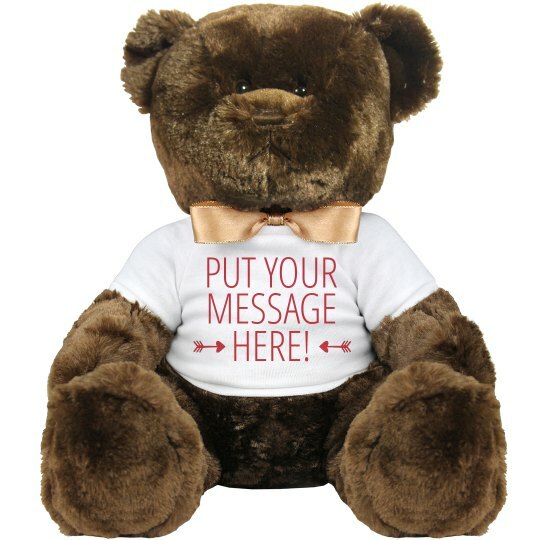 Teddy Bear gifts will surely melt a woman's heart but what more if it has a special message on it? You will definitely win her yes if you choose this customizeable teddy bear as a gift for her! Our Design Center has a lot of choices for arts and font styles deoending on your taste. I couldnt be more giddy than hugging this teddy! Custom Text: PUT YOUR | MESSAGE | HERE!